The Real CBD - What are terpenes and why do we need them? Terpenes are the tiny molecules that dictate how different strains of plants smell, taste, and even affect you. You will find these molecules in all plants, as an example, they are responsible for a tomatoes red colour and distinct taste. These molecules also have significant medicinal value. Many studies reveal the benefits, effects, and role of these tiny molecules in the hemp plants. Scientists and growers are mapping the profiles and manipulating them for specific tastes, smells, and even medical therapies. It is possible to manipulate their profiles by making simple environmental changes. Cultivators are growing strains for specific flavors, aromas and effects. 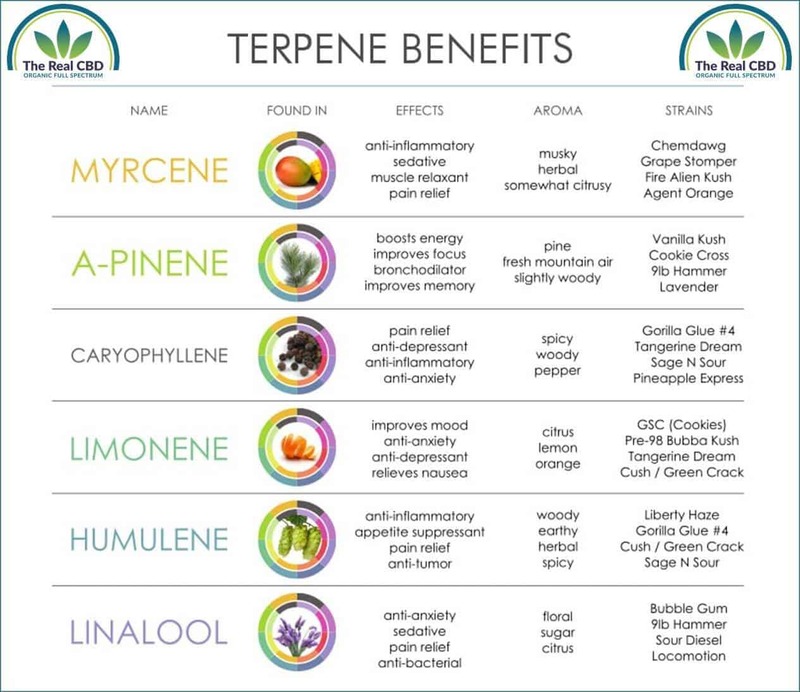 We are still learning about terpenes and have a long way to go yet. Mapping strains will help scientists identify them more and more, and producers are extracting them for CBD oil and other products. We are just beginning to understand how tetrahydrocannabinol (THC), Cannabidiol (CBD), terpenes, and other cannabinoids are healing and more and more evidence supports the value of the full spectrum products.